As promised, I am posting some questions that I have recently received from current clients and random phone calls/emails and my answer to them. I’ve been getting quite a few questions from current clients and phone calls regarding gifts. I suppose we are coming to that time of year again. So here is what you need to know about gifts. Any one person can gift up to $14,000 in 2017 to any one person without needing to file or pay tax on the gift, this is known as the annual gift exclusion. Gifts apply to all gifts, not only those of money. Every one of us has a lifetime gift exemption (exclusion) of $5.49 million! That means we can each give away $5,490,000 before we have to pay taxes on the gifts we give! However, we still may be required to file a gift tax return, Form 709. This is required when any one gift to the same person is greater than $14,000 in 2017. The reason for reporting the gift amount is so the IRS can track our lifetime exemption and know when we have gifted over $5.49 million – and thus starting taxing us! 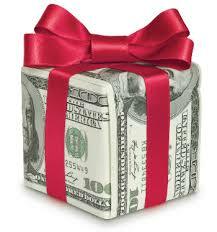 Since most of us will never exceed our lifetime gift exemption, we most likely will not pay tax on any gifts we give. So why do people think they pay taxes on gifts? From my experience, as soon as a client hears they are required to file a gift tax return, Form 709, when the gift is over $14,000 to the same person, they equate this with paying tax. This is not the case. We are simply reporting any gifts we make to that one person over $14,000 in 2017 to track our lifetime gift exemption. Question: How much can I contribute to my HSA (Health Savings Account)? Answer: The annual contribution if you are in a High Deductible Health Insurance Plan is $3,350 if you are single, and $6,750 for families. If you are age 55 or over, the amount is increased by $1,000. Question: I am self-employed working out of my home. Can I deduct any of my home expenses on my tax return? Answer: Yes, however, the area of the home must be used exclusively and regularly for business purposes. The IRS now has a simplified method in which if you use less than 300 square feet of the home for business, you can multiply the square footage used by $5 for a maximum of $1,500 tax deduction. Question: I am selling my house in November. Do I have a tax filing requirement? Answer: Depends. If you sold the house for less than $250,000 if you are single or $500,000 if you are married (filing joint), you do not have a tax reporting requirement per Internal Revenue Code Section 121 and you meet the ownership, use, and one sale in two years requirement. 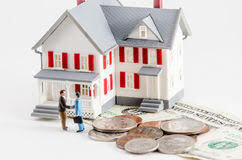 If you do not meet this criteria, you may have to pay capital gains on the sale of your personal residence. Next Q&A blog will be Friday, October 6. Questions can be submitted via our website at www.integrityintaxllc.om on the Contacts page or by emailing research@integrityintaxllc.com. As always, Thank-You for taking the time to read my blog! This entry was posted in Blog on September 29, 2017 by c06675329.